By: Jonathan Mack, PhD RN NP. 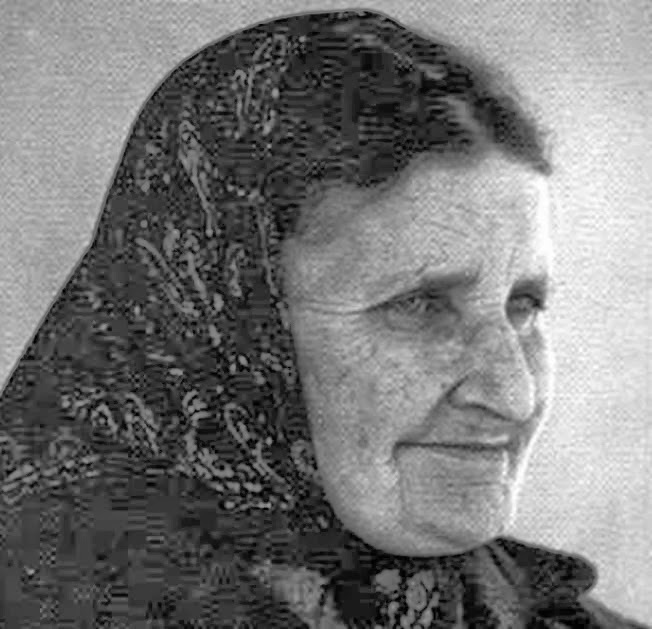 Cora Evans is a 20th century Catholic mystic with an amazing story of conversion and mystical journey. The information and photos from this article are the from the Cora Evans web site (http://www.coraevans.com) and curated from several of her published writings. I have had the pleasure of meeting the custodian for Cora’s writings, Mr. Michael McDevitt, who is the nephew of Cora Evan’s spiritual Director, Fr. Frank Parrish, S.J.. Michael’s Aunt and her Physician Husband were close friends of Cora and personally witnessed many of her Charisms. 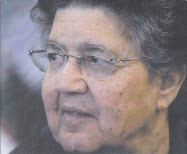 The Vatican currently considers Cora a “Servant of God”, which is an initial step in the process towards sainthood. Christ’s plan for mankind’s salvation involves selection of individuals like Cora to carryout earth bound missions. Cora’s mission included promulgating the Mystical Humanity of Christ , which is a way of prayer that encourages people to live with a heightened awareness of the indwelling presence of Jesus in their daily lives. (CoraEvans.com). 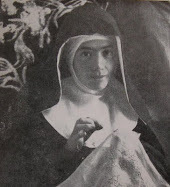 During her life she experienced such mysticisms as the stigmata, ecstasies, bi-location, and mystical writings based upon visions shown her by Jesus Christ. Cora was a baptized into the Mormon faith at 8 yrs. 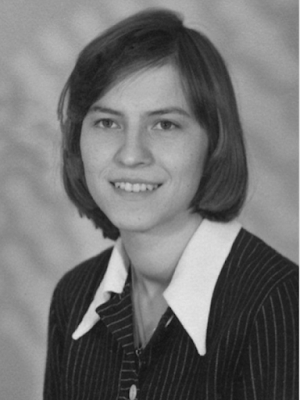 of age and Cora lived her Mormon faith while participating in the close nit community life the Mormon faith is well known for. Cora and Her husband, Maclellan “Mack” Evans, where married on June 4, 1924 in the worldwide headquarters for the Mormon faith, Salt Lake City Utah Temple. The marriage ceremony within the Mormon Church is unique and left her disillusioned with the Mormon faith. Based upon that experience Cora began a 10 year journey ultimately leading her to the One True God (CoraEvans.com). The following 10 years Cora and Mack had three children while living in Ogden Utah. 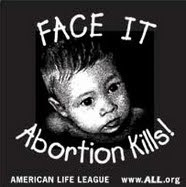 They both suffered the pain and disappointment of losing one of their children during infancy. During this time Cora continued to investigate various religions but found none that met her longing. She considered Catholicism but due to pervasive ant-catholic sentiments within the Mormon church she ruled it out as a viable option. Cora had a turning point while she lay ill in bed on Dec 9, 1934. While alone she listened to the radio and feeling too sick to change the channel she began to hear a radio program called the “Catholic Radio Hour”. As she listened to the broadcast of Monsignor Duane Hunt he spoke about the Blessed Mother and the Catholic faith. She found the messages from Monsignor Hunt conflicted with what she had come to understand as a Mormon about the Catholic faith. After recovering from her illness Cora followed her curiosity about the Catholic faith and visited St Joseph Catholic Church located in her community. 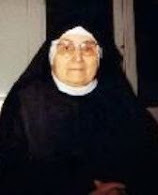 What followed were several meetings in her home between the parish priest for St Joseph Church, Father Edward Vaughn, and several Mormon bishops. Cora became aware of the misrepresentations by the Mormon Church of the Catholic faith thus beginning her road to catholic conversion. 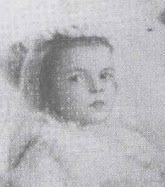 Cora was subsequently baptized on March 30, 1935 followed by her First Holy Communion the next day. Cora’s husband Mack and her two daughters followed her into the Catholic faith. 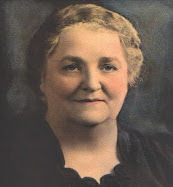 Father Vaughn credited Cora Evans directly with many Mormon conversions to Catholicism within her community totaling many hundreds. "It was necessary for me to live my chosen vocation with Him as my companion. By loaning Jesus my humanity for Him to govern as well as dwell within, would make my life a living prayer for He was life, living life within me, and my body now dead to me was His living cross, His cross to take to Calvary, Calvary, the door to eternal life” (Excerpt Cora Evans). visible on left hand facing camera. On Mar 17, 1941, 5-years after her baptism, and first communion her family made the painful decision to relocate to southern California. This was due impart to her husbands inability to acquire employment which drove them to leave family and friends. There she joined St. Cecelia Church, Archdiocese of Los Angles. As Cora began having experiences with greater frequency, including visitations by saints, she sought out guidance from the church. 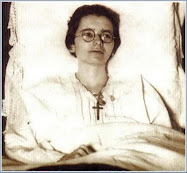 In response to her search for spiritual guidance, on February 20, 1945, Father Frank Parrish, S.J. 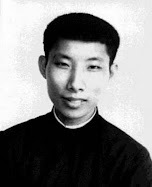 was appointed her confessor and spiritual director by the Provincial of the Society of Jesus (Jesuits). Cora Evans with Father Frank Parrish, S.J. On December 24, 1946, Jesus revealed the mission entrusted to Cora. She learned that she was to promulgate the Mystical Humanity of Christ, a way of prayer that encourages people to live with a heightened awareness of the indwelling presence of Jesus in their daily lives. It is Eucharistic spirituality, and Jesus promised to foster the devotion. Father Frank served as the spiritual guide of Cora's soul for the rest of her life. His written account of events is testimony to Cora's heroic virtues and her reputation of sanctity. and Cora Evans, circa 1948. 'My favorite snapshot of Cora. so much as she appeared most of the time. (except from the Cora Evans website). Cora’s writings amount to volumes of books. She was said to type rapidly and in order to keep up, rolls of paper were attached to the type writer allowing her to type unhindered by having to stop to change paper. "I knelt in prayer to thank Jesus for His gift of knowledge and for the gift of writing He had given me, better to describe His life and infinite love into our world." "My soul gives Thee thanks for this great trust, and in that trust I believe Thou will help me write the knowledge for souls to use as a steppingstone to love Thee more. Cora Evans, Age 32 God's gifts were so clearly caught up into my soul, there to write them for His glory for souls on earth. To begin such a task is only to lose myself in the mystery of time and pretend that I am a citizen of Jerusalem taking notes from the Master's lips. I am just the reporter and of myself filled with many imperfections." 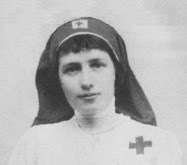 Picture of Cora Evans with some of her writings. Note the long rolls of paper in her hand. 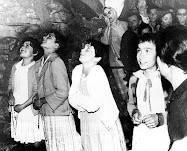 In 1957 Cora Moved from Los Angles to Boulder Creek in Northern California, joining the Saint Michael Parish, Diocese of Monterrey, California. 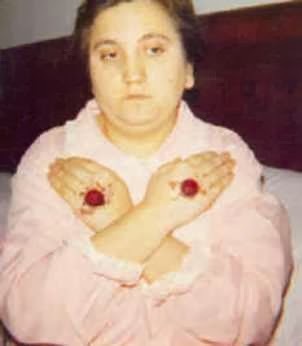 There she would live out her life continuing to experience mystical phenomena including the stigmata. Cora prayed that she would be given the same gift as Saint Therese of Lisieux, the Little Flower, spending her heaven on earth doing good, and promised to pray for all who asked for her intercession. On Mar. 30, 1957 Cora passed away peacefully. 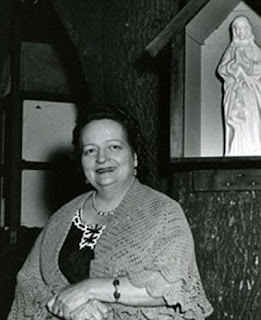 An interesting footnote: Cora died exactly Twenty-two years to the day she was baptized into the Catholic faith (March 30, 1935). The Cause for Cora Evans sainthood was opened and announced by Bishop Garcia. and declared Servant of God on Feb. 15, 2011. On Mar. 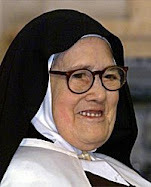 29, 2012, the Vatican grants nihil obstat, authorizing the Cause of Beatification and Canonization to proceed. A letter signed by Angelo Cardinal Amato, S.D.B., prefect, Congregation for the Causes of Saints. 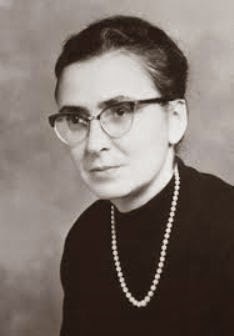 The Diocese of Monterey, California, is proceeding with the investigation of her life and writings. This includes the investigation into miracles including cures that are attributed to Cora Evans intersession. 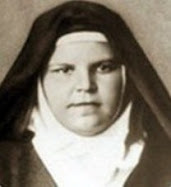 Cora prayed that she would be given the same gift as Saint Therese of Lisieux, the Little Flower, spending her heaven on earth doing good, and promised to pray for all who asked for her intercession. The Archbishop of San Francisco granted the Imprimatur for the intercessory prayer, written by Cora’s Spiritual Director, Father Frank Parrish, S.J..
You blessed Cora Evans with many supernatural mystical gifts as a means of drawing us to a deeper and more intimate union with your Sacred Heart through Your Divine Indwelling, Your Mystical Humanity. I ask You through her intercession to help me in my special request (name the favor) and my efforts to do Your will here on earth and be with You, Your Blessed Mother, Saint Joseph and the whole Court of Heaven forever. One of the writings Cora produced is titled the “Refugee from Heaven” (Coraevans.com). This book chronicles several important periods in Christ’s Life. The book is similar to the Life and Revelations of Anne Catherine Emmerich or writings by Venerable Sister Mary of Jesus Agreda (Mystical City of God) in that the writings are generated from private revelations chronicling the life, selected events, and death of Jesus Christ. 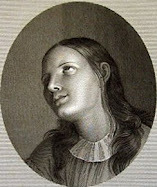 The book was inspired through visions shown to her by Jesus Christ during her many ecstasies. Cora would later sit down to type what she could recall of these visions at incredible speeds demonstrating writing ability far in excess of her level of education and usual writing ability. Belief in private Revelation is not required by the Catholic Church but rather left to personal discernment. However, if we assume Cora’s writings are in fact divinely inspired it provides several new insights into the life of Christ as well as the death and burial of John The Baptist. New information is revealed in; The Refugee from Heaven, which may spark questions that may never be answered. Questions from the book include: Will the swaddling clothes of Jesus Christ be uncovered? Will the place of prayer built by John the Baptist be found? Is the body of John the Baptist incorrupt? Does this book lend support for the Shroud of Turin? And the most profound revelation of all: Will the Church finally locate the Holy Grail? Cora provides new details of historical and archaeological significance. And what are we to make of Cora's interpretation of the words spoken by Jesus, Mary, the apostles, and others? Michael McDevitt, custodian for Cora’s writings, offers a suggestion upon reading the book: “If anything causes doubt or concern, rely on Sacred Scripture”. Cora prayed, "Please give me the grace to remember the vision and understanding in Thy wisdom to better relate to friends Thy hidden mystery of love for them . . . help me, Jesus, to write them as You would like them written for Thy glory to be better known among men." The purpose of her life, the suffering she endured, and her writings inspire us to live with awareness of the presence of Jesus. When you practice this way of prayer, known as the Mystical Humanity of Christ, you take Jesus with you wherever you go (Cora Evans.com). Cora is baptized a Mormon (8 years old). Mormon Marriage to Mack Evans, Mormon temple in Salt Lake City (this location is the worldwide headquarters for the Mormon Church). Cora completely rejects Mormon religion based on the secret ritual and what she considers to be false teachings about God. Cora begins ten-year search for the true religion. Future Catholic Bishop is catalyst for Cora’s Conversion – Ogden, Utah: Cora listens to radio talk by Catholic Monsignor Duane Hunt (later he would become Most Reverend Hunt, Bishop of Salt Lake City), decides to visit local Catholic Church. Cora moves to Southern California and is active at Saint Cecilia's Parish. Mission entrusted to Cora Evans reveled to her by Jesus. Cora learns she is to promulgate the Mystical Humanity of Christ (the Divine Indwelling) within souls – as a way of prayer in the United States and throughout the world. Jesus promises to foster the devotion. 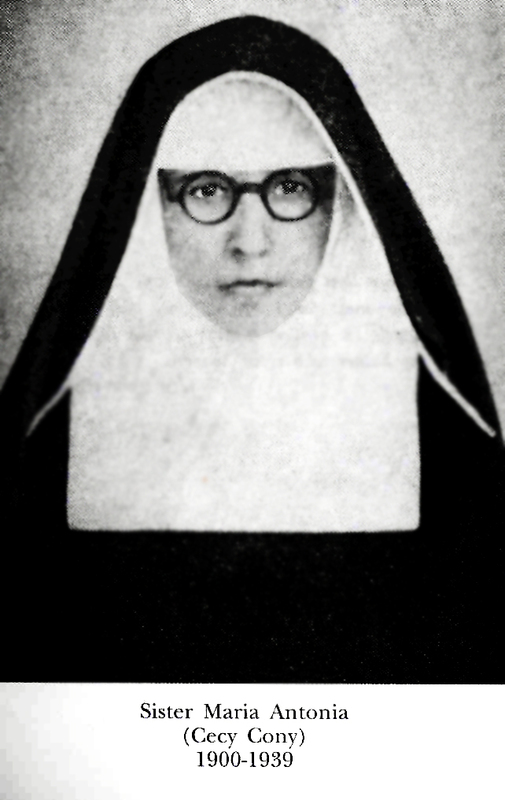 Based on ecstasies, and in complete obedience to her spiritual director, Cora writes numerous profound manuscripts and diaries. Mystical Phenomena witnessed by priests, religious, and lay people. Many testimonies are written. Stigmata- Cora begins experiencing the stigmata. She endures frequent pain for the rest of her life in the palms of her hands, head (crown of thorns), feet and over her heart. Cora prays that Our Lord will allow her to be like the Little Flower, Saint Therese, helping souls on earth after her death. Cora moves to Boulder Creek in Northern California, Saint Michael Parish. Most Reverend Duane Hunt (1884-1960), Bishop of the Diocese of Salt Lake City, visits Cora at her home in Boulder Creek, California. Cora enters Eternal Life. Twenty-two years earlier on this same date, March 30 (1935) Cora was baptized a Catholic. Burial in crypt in the Fatima Wing of the Mausoleum adjacent to the site where the California Jesuits are buried in Santa Clara, California. Michael McDevitt is appointed custodian of the writings of Cora Evans. Organization founded by Father Frank Parrish, S.J. conducts first retreat at the Jesuit retreat house in Southern California. Organization officially named “The Mystical Humanity of Christ, Inc.” incorporated as a Catholic services organization entrusted with the promulgation of the Mystical Humanity of Christ as a way of prayer throughout the world. Initial non-profit status granted. 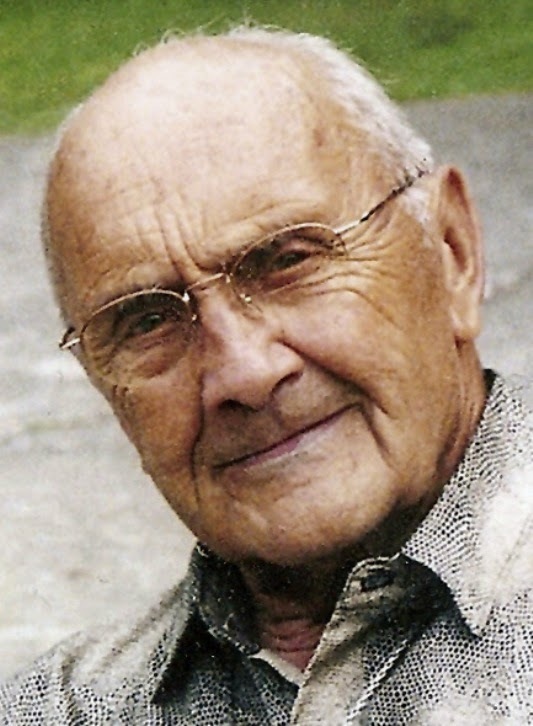 Founder, Father Frank Parrish, S.J. enters eternal life. Mystical Humanity of Christ, Inc. classified as 501 c 3 non-profit organization by the Internal Revenue Service. The remarkable story of Cora Evans told to Most Reverend Richard Garcia, Bishop of Monterey, California. Canon Law requirements reviewed. 500-page Petition for opening the cause for Cora Evans presented to Bishop Garcia. Renowned postulator appointed: Fr. 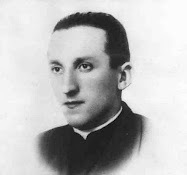 Joseph Grimaldi, JCD (formally Promoter of Justice for the Cause of St. Damian of Molokai). Cause for Cora Evans opened and announced by Bishop Garcia. (When the cause for sainthood is formally opened by the Bishop the person is declared a Servant of God. The Vatican later confirmed this in their letter granting the cause the nihil obstat). Imprimatur Granted for the Prayer for the Intercession of Cora Evans by Most Reverend George Niederauer, D.D., Archbishop of San Francisco. Prayer card published. Fr. Marc Lindeijer, S.J., Jesuit Postulator, provides guidance during a meeting in Rome, Italy. Monsignor Robert Sarno, Congregation for the Causes of Saints, provides guidance, meeting in Rome, Italy. Article announcing the cause for Cora Evans runs in Archdiocesan newspaper: Catholic San Francisco. Article goes viral, achieves worldwide exposure. Vatican grants nihil obstat, authorizing the Cause of Beatification and Canonization to proceed. Letter (written in Latin) signed by Angelo Cardinal Amato, S.D.B., prefect, Congregation for the Causes of Saints. Bishop appointed Fr. David Schuyler, S.M., J.C.D., Episcopal Delegate. Upon his death, Bishop Garcia appointed Fr. Robert Hayes, J.C.L. to serve as Delegate. Cause for Cora Evans presented to faith community of Monterey, California, at the Cathedral of San Carlos. Front page feature article appears in 5th largest newspaper in the United States, San Jose Mercury News. Article goes viral. Organization contacted by people in 34 states and 12 foreign countries. Saint Rose of Lima Parish retreat in Newtown, Connecticut introduces parishioners to Cora Evans. Rosemary Rioux prays that Cora will intercede on behalf of her daughter. Rosemary's daughter, Jennifer, reports complete cure of Lupus. Publishing business launched to make writings of Cora Evans available. Bishop Garcia authorizes investigation into reported cure attributed to Cora Evan’s Intersession. 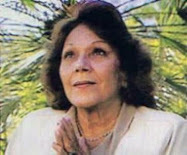 Several of her books are available for purchase as well as additional information regarding Cora’s mission to spread the “Mystical Humanity of Christ”. “My beloved, if I can glorify Thee by staying on earth, then I am willing to stay for the love I have for Thee.” -Words of Cora Evans to Jesus during a very serious illness. Webmaster note: I would like to point out for those interested that our friends over at Spirit Daily are also offering the book "The Refugee From Heaven" mentioned in the article above. -Support this website! 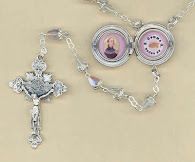 Check out the rosaries, lockets and books in the Mystics of the Church and St Gemma Galgani Gift Stores! I am glad to see Cora Evans on this website. Thanks for posting this article. In reading Coras book, The Refugee of Heaven, I find a part where Mary says "becuase you have clothed my soul in such a spotless gown from all eternity, i know not the feelings of grief nor loss". Its on page 246. Right after that Jesus gives Mary His Heart so that during His passion she can experience the sorrow and grief of losing Him. Its very strange. If that is true, then everyone who honors the 7 sorrows of Mary is honoring a lie. I'm sure those investigating her cause are considering it, however this woman exhibited many of the features of hypergraphia a neurological disorder associatied with temporal lobe epilepsy, hyper religiosity and Geschwind syndrome. Hypergraphia is a behavioral condition characterized by the intense desire to write. Forms of hypergraphia can vary in writing style and content. It is a symptom associated with temporal lobe changes in epilepsy, which is the cause of the Geschwind syndrome, a mental disorder. Structures that may have an effect on hypergraphia when damaged due to temporal lobe epilepsy are the hippocampus and Wernicke's area. Aside from temporal lobe epilepsy, chemical causes may be responsible for inducing hypergraphia. It would explain the odd section on Mary which worried the commenter above. While I have not (yet) read "The Refugee of Heaven", I have read the writings of dozens of mystics, many of which I have highlighted on this website. The Church acknowledges the fact that almost all private revelation is subject to the interpretive efforts of the person receiving it. "Direct" revelation, that is a direct message from heaven that is NOT subject to any interpretive efforts, is in fact quite rare. So it is that with any private revelation that one will occasionally find difficulties or inconsistencies. Even in cases of obvious error, it is not necessarily that the person was not inspired or guided by heaven, but that their humanity and human weakness and limited human capabilities fell short and misinterpreted what was shown or revealed to them. It is good to see this story on your site. 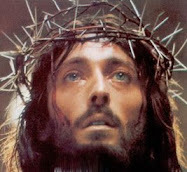 I have always been sure there were others who shared in His passion, even here in the United States. Thanks for bringing Cora to light so we might be inspired to share in His life. As a young person, my sister, Theresa and I,lived in Santa Barbara, CA in the 1960's. We were able to join the prayer group with Cora's sister Ruth Spaulding. All the rest of them were our Mother's age. Our Mother had died in 1965. We would pray, do the Spiritual Exercises of the Denial of the Five Senses, and then listen to Ruth reading sections of Cora's writings. My sister and I prayed for two and a half months if this is from God. We were 17 and 18 years old. A lady, that we babysat their 7 children, would tell us the story that she heard that day. We would hurry home and then to her house to listen to the story she had heard from Ruth that day. They met once a week. As we stated going to College, we were able to join the prayer group. The books were basically the Rosary. It makes the Rosary beautiful to say. The Rosary is the weapon against Satan. Thank you Eugenia for sharing this interesting story! A previous comment mentioned Gershwind syndrome. Gershwind's is a controversial diagnosis; it may not exist at all, and a recent review concluded that the evidence for a link between temporal lobe epilepsy and hyperreligiosity isn't terribly compelling. Materialists crave a biological "cause" for religious belief. Don't fall for it; there is an agenda. We've already got some calling for religious belief to be classified as a mental illness. I've experienced hundreds of temporal lobe seizures in my life and let me reassure anyone reading that a seizure is in no way similar to a mystical meditation. A seizure is a chaotic, disordered event. Nothing rational, insightful or meaningful can come of it. It's the cognitive equivalent of vomiting. As for hypergraphia, check any epilepsy forum and you will immediately notice the poor spelling. Communication is impaired. Cora's writings would not be intelligible and pristine with uncontrolled epilepsy. Also, from reading the article, there is no reason to believe Cora had a diagnosis of Epilepsy. What are the Seven Sorrows of Mary and why couldn't she have experienced them after Jesus had given her His suffering heart?